Ethical Sourcing | SRG Apparel Plc. A key element of SRG Apparel’s continued success is centred on our long-term supply partnerships. We dedicate staff both in the UK and overseas to support and improve the working environments across our production facilities so we can achieve the highest standards for both suppliers and customers alike. Our teams are constantly working to ensure sources are fully compliant to local, national and international laws, accomplishing above and beyond the required status. SRG works with internationally recognized organizations, such as SEDEX, Wrap and REACH, to ensure all our supply chain partners attain the highest levels of accreditation. 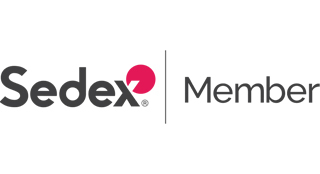 Sedex (www.sedexglobal.com) is a global not-for-profit membership organisation making it simpler to do business that’s good for everyone. It is home to one of the world’s largest collaborative platform for sharing data on value chains, used by more than 40,000 members in over 150 countries. For over twelve years Sedex has been developing technology, tools and partnerships that enable many of the world’s leading brands, and suppliers across the world, to monitor and report on responsible practices. Sedex also convenes the Sedex Stakeholder Forum, the group who oversee SMETA, the globally-recognised audit procedure used by thousands to check on a broad range of indicators for responsible business. 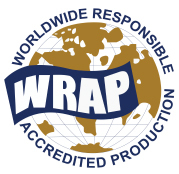 WRAP is an independent, non-profit organization dedicated to the certification of lawful, humane and ethical manufacturing throughout the world. Many of our suppliers hold the internationally recognized WRAP certificate. 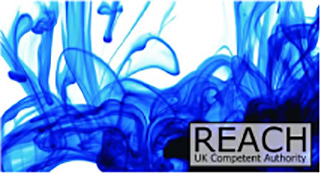 REACH is a European Union regulation concerning the Registration, Evaluation, Authorisation & restriction of CHemicals. All SRG sources are signatories of the REACH legislation to ensure the highest standards are maintained as per EU and UK directives. Products certified under the Oeko-Tex® Standard 100plus are totally safe in terms of human ecology, and have been manufactured exclusively in environmentally aware companies. 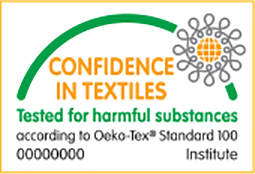 A number of our sites hold Oeko-Tex® certificates. .......Since it was first established in 2013, SRG Apparel have been encouraging its manufacturing partners to sign up to Accord. The safety of our workforce is of paramount importance to the group. SRG Apparel Plc strongly believe in respecting and improving the lives of our workforce right across our global business units and supply chains. As such, we operate a zero tolerance policy towards any form of modern slavery, forced/compulsory labour and human trafficking in our day-to-day global supply chain operations. This statement documents our commitment to preventing modern slavery. The statement is under the Modern Slavery Act 2015 (the Act). We welcome the Act and its reporting obligations as a driver for transparency and consistency of approach to meet its objectives. SRG Apparel Plc was established in 1999 and since then, we are proud to have direct and indirect representation in over 15 countries spanning from a Head Office in Manchester, Liaison Offices in China and Bangladesh, Sales Agents offices in France, Spain, Portugal, Germany, Poland, to name a few, together with manufacturing partners in China, India, Pakistan, Bangladesh and Turkey. At SRG Apparel Plc, we fully understand that modern slavery is a global issue and that no economy, industry or sector is immune. We are committed to doing all we can to ensure that there is no modern slavery or human trafficking in our supply chains or in any part of our business worldwide. Alongside our Core Company Values statement that apply to our people, our Ethical Trade Policy reflects our commitment to acting ethically and with integrity in all our wider business relationships, including enforcing effective systems and controls to guard against slavery or human trafficking taking place at any point in our supply chains. Although at this time we are not members of the Ethical Trading Initiative (ETI), we are following their guidelines and best practices to tackle any ethical issues. We have a Code of Business Ethics, which sets out the ethical standards we require our people and those we work with to live up to. We work continually to develop and revise the Code to deal with new risk areas and the changing nature of our industry. As a result of the Modern Slavery Act 2015, we have developed a policy dealing specifically with guarding against modern slavery and human trafficking. We have a number of teams working directly with suppliers, from first contact, to dealing with their onboarding and measuring their ongoing performance. We clearly communicate our Ethical Aims from the outset. It is important to us that all suppliers understand what is expected of them, and all suppliers of products for resale are required to accept and sign up to our terms as set out in our Supplier Manual. To ensure a high level of understanding of the risks and possible indicators of modern slavery and human trafficking we provide training to key managers and staff, and encourage their vigilance and willingness to challenge. We have been working for some time on collecting information about our suppliers. This ongoing comprehensive mapping of the size and shape of the SRG supply chain looks beyond the suppliers we contract directly with to better understand who is working in our supply chain and identify who may be at risk. We regularly review our monitoring arrangements and employ up to date techniques and resources to help us achieve our aims. SRG acknowledges the need to drive initiatives beyond our principal manufacturing sites, and deeper into the supply chain, to identify areas of potential high risk presented by unauthorised subcontractors, the exploitation of a growing migrant workforce, or other sectors of vulnerable labour. We continually strive to test our policies and processes to achieve this. We monitor the ongoing impacts of our ethical trading initiatives and report to the Board of Directors regularly to provide continued oversight. The above statement is approved by Rajesh Passi, the Group’s Chairman.